Inside the Washington Youth Academy, Episode 1 of a 4 part series. Inside the Washington Youth Academy Episode 3 of 4 part series. 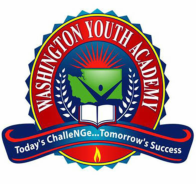 Inside the Washington Youth Academy Episode 2 of a 4 part series. Inside the Washington Youth Academy Episode 4 of 4 part series.